Founded in 1910, Hino Motors Ltd. is Japan's oldest motor vehicle manufacturer. Since introducing Japan's first automobile in 1918, Hino has been developing and manufacturing superior vehicles that serve businesses as well as the society. Today, Hino is Japan's No. 1 diesel truck maker and one of the world's leading manufacturers of medium and heavy-duty vehicles with exports to more than 140 countries around the world. Commitment to excellence and team spirit in everything that we do is our operational philosophy at Hino. As the leader of the industry, we continually strive to attain the highest levels of achievements by encouraging harmonious working relationships both within the company as well as with our customers to ensure maximum customer satisfaction. At Hino, our objective is therefore to meet your needs with the right vehicle of the right capacity; as well as to offer the most efficient after-sales service and supply of spare parts to Hino operators everywhere. Hino Motors Sales (Malaysia) Sdn. Bhd. is endowed with an impressive profile that is powered to progress right into the next millennium. The formidable shareholders' profiles of Hino Motors td., Japan; Med-Bumikar Mara, Tomen Corporation, Japan and Arah Seraya Sdn. Bhd. ensure a winning combination that will set new standards of excellence in full support of the Malaysian vision towards a dynamic future. Med-Bumikar Mara (MBM) is at the forefront of the nations`s progress, guided by the corporate philosophy "Together Towards The Prosperity Of The Nation". A holding company of the public-listed MBM Resouces, it has proven track record of achievements in the manufacturing of automotive components and sales, distribution and assembly of passenger and commercial vehicles like Perodua and Daihatsu. Our corporate philosophy and vision of the 21st century is our guiding principle to success. With an existing worldwide network, our mission now is to use our technology to create and even more prosperous and harmonious world. Beauty, Comfort, Profitability and Environmental Friendliness are therefore the criteria of all Hino trucks and buses. These are the qualities, we believe, that will contribute significantly to improve the comfort and quality of our lives...towards a more harmonious and prosperous world community...right into the future. Hino Motors Sales (Malaysia) Sdn. Bhd. charts a history of excellence, among the most illustrious in the industry. Established in 1977, we are the first in Malaysia to assemble Japanese-built diesel-engine trucks on a commercial scale. Today, Hino technology is recognized as an integral part of the nation's dynamic progress. An impressive portfolio of major contributions include numerous mega government projects and involvement in all aspects of development from infrastructure to goods transportation as well as sophisticated modes of public transportation. All this is possible because we have the technological know-how and expertise inherited from one of the world's leaders in the industry - Hino Motors Ltd., Japan. We, HINO MOTORS SALES (Malaysia) SDN. BHD., will make the world a better place to live by helping people and goods get where they need to go. To provide useful products & services, safely & economically to our customers with a responsible respect to the environment. To contribute to the development of the economy, welfare and human life in Malaysia by useful products and most reliable services. HINO MOTORS SALES (Malaysia) SDN. BHD. aims to be the leader in the commercial vehicle industry by providing products & services of Quality, Durability & Reliability. Our commitment "Solidly, Absolutely & Steadily" is to strive hard as one team to realize our aims. HINO FAMILY of customers, dealers, business associates and staff is the most important asset of HINO MOTORS SALES (Malaysia) SDN. BHD. We respect our HINO FAMILY and practice TEAM WORK always to enhance relationships, trust and communications among HINO FAMILY. HINO PRACTICE respects Small Success First by PDCA Approach, 5 Times of Why method, and Genchi Genbutsu for Kaizen (improvement). HINO CHALLENGE is endless with Enthusiasm and Passion for Success. We aim to be recognized as Malaysian customers’ best business partner and to be loved by our local people and society. Hino Motors Sales (M) Sdn. Bhd. will celebrate its 40th anniversary in 2017. Introduced latest HINO 300,500 and 700 series models which are in compliance with UN Regulations by JPJ. Upgraded Hino Total Support Customer Center (HTSCC) to further enhance driver’s training curriculum. Introduced latest HINO bus series models RN8JSNA, RK8JSKA and RM1ESKU which are in compliance with UN Regulations by JPJ. HINO buses focuses exclusively on safety, power and comfortability features. All the models are equipped with Antilock Braking System (ABS) and Full Air Brake. Hino Total Support Customer Centre (HTSCC ) is launched in Sendayan, Negeri Sembilan. The new HTSCC sits on a 24,327 sq meter site with its own driving test course and has the only total support training facility in the world. Hino Manufacturing Plant (Sendayan, Negeri Sembilan) starts operation in March 2014. The state-of-the-art RM172 million facilities have an annual production capacity of 10,000 units. Wins NST-Shell Rimula TOTY (2014) MCV. Wins NST-Shell Rimula Truck Of The Year (2013) LCV and MCV. Record Sales (Registered Units) 7,007 units. Wins Truck of the year award for 300 Series and 500 Series. New Hino corporate headquarters building is completed. Change of company name to Hino Motors Sales (Malaysia) Sdn. Bhd. No.1 overall market share achievement (Light commercial vehicle, Medium commercial vehicle, and bus). Awarded Commercial Vehicle Company Of The Year by Frost & Sullivan. Awarded Super Excellent Brand Of the Year. Restructured local shareholding from Med-Bumikar and Arah Seraya to MBM Resources Bhd. HINO light commercial vehicle - Dutro to enter Malaysia market. 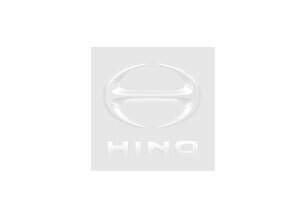 New symbol mark and logo of HINO are introduced. Commencement of assembling of HINO vehicles at Assembly Services Sdn. Bhd. Shah Alam. Hino Malaysia Sdn. Bhd. moves into its own premises in Wisma HINO, Petaling Jaya. Establishment of Hino Malaysia Sdn. Bhd. as joint venture between Sarawak Motors Industries, Hino Motor Ltd. Japan and Toyo Menka Kaisha Ltd. Japan. Sarawak Motors Industries appointed as franchise holder of HINO products in Malaysia.